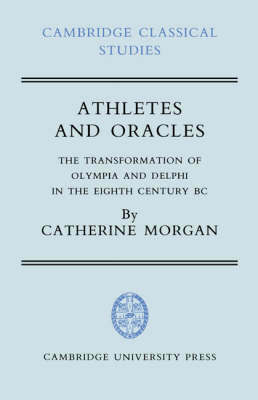 This book is a study of the origins and development of cult practice at Olympia and Delphi. It traces changing patterns of activity through the material record, and challenges many assumptions about the nature and role of the archaeological data. Dr Morgan considers the economics of dedication, technology and the organization of craft production, which provide insights into the behaviour of producers and purchasers of material dedicated at sanctuaries. Her study is exceptional for the emphasis placed upon the two sites in their contemporary local contexts and their changing roles in society. The progression of state formation is discussed through the relationship between changes in dedicatory practice during the eighth century and the changing needs of communities. The book concludes with a detailed study of the wider roles of Olympia and Delphi as two major sanctuaries in Archaic Greece, considering their relationships with other sites and their place in the Greek festival calendar.